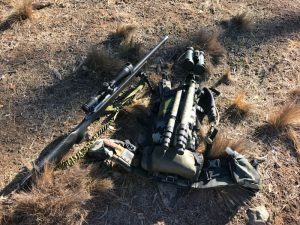 It doesn’t get much lighter than this Australian custom titanium action and New Zealand carbon fibre stock and barrel combo weighing in at 2100 grams. 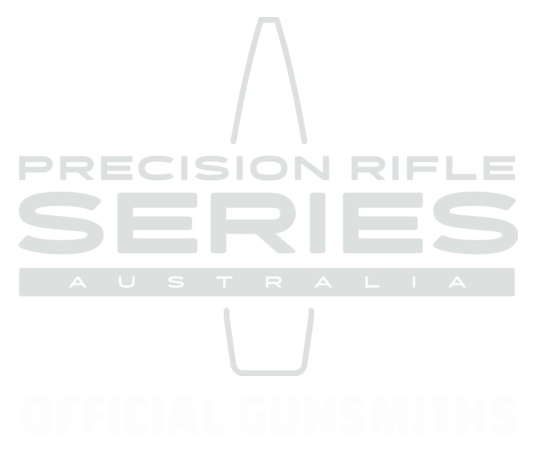 Its also the definition of custom build with the client even selecting their own firearm serial number. 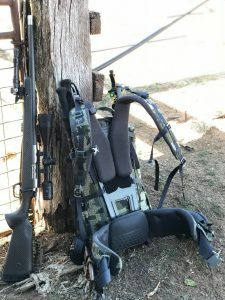 Our client needed an ultra lightweight set up in 6.5 Creedmoor for carrying and stalking on long hunting trips. It had to be ergonomic and rugged to stand up to days in the field….but it also had to be left-handed. 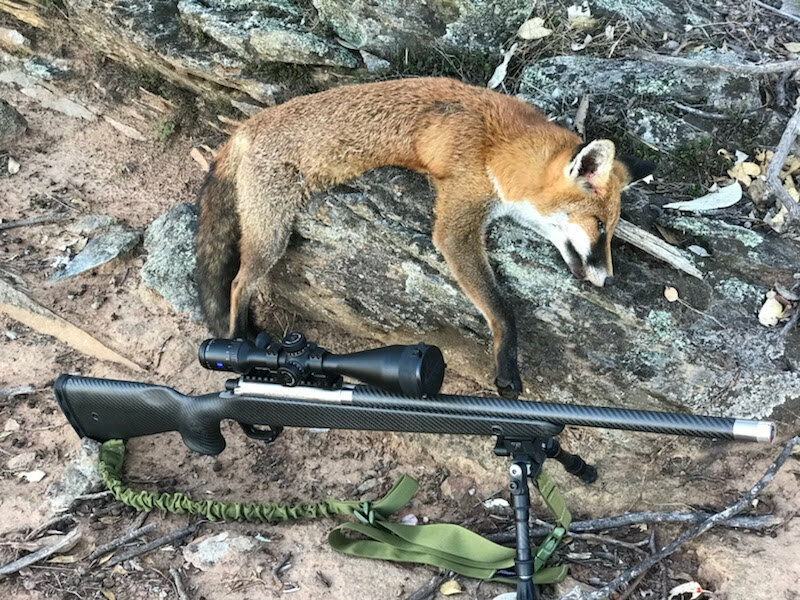 We turned to Aussie firearm manufacturer MANAEL (based in Adelaide) who offer premium aftermarket rifle actions designed specifically for long range accuracy. To our specifications, MANAEL created a custom left-hand action from titanium, being light weight but incredibly resilient, rugged and long wearing. 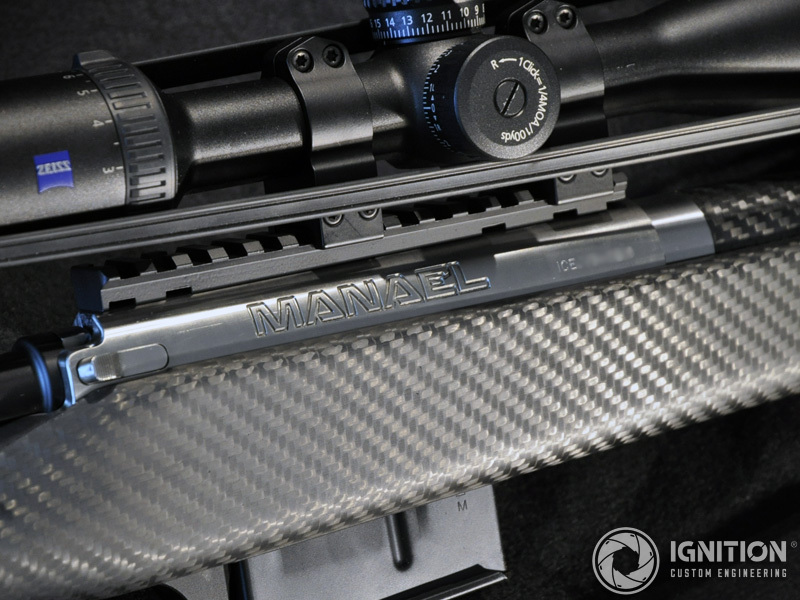 MANAEL included a picatinny rail in the MOA of choice, integrated lug, fluted bolt, premium M16 extractor and match-grade firing pin mechanisms (plus a lifetime warranty). 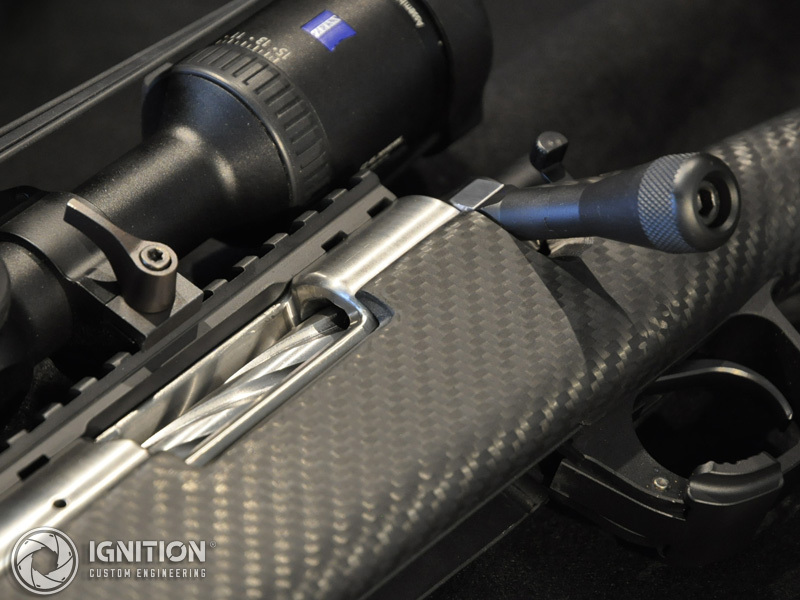 Adding on to the “custom” experience, our client was able to select their own serial number for the action. The client opted for a brushed action finish to show off the titanium, while keeping reflection down. 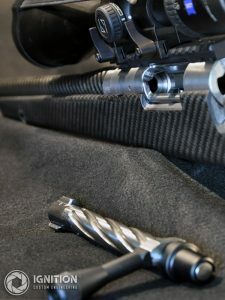 The bolt handle was also customised to reduce weight. It was fabricated from lightweight aluminum with a custom short throw. But did the cost of titanium action really have any effect on the weight? Clearly so. On the scales, the MANAEL titanium action weighed in at a little over 300 grams including the integrated lug and bolt (that’s half the weight of a chrome molly action). A lightweight action doesn’t mean much with a heavy stock or barrel. 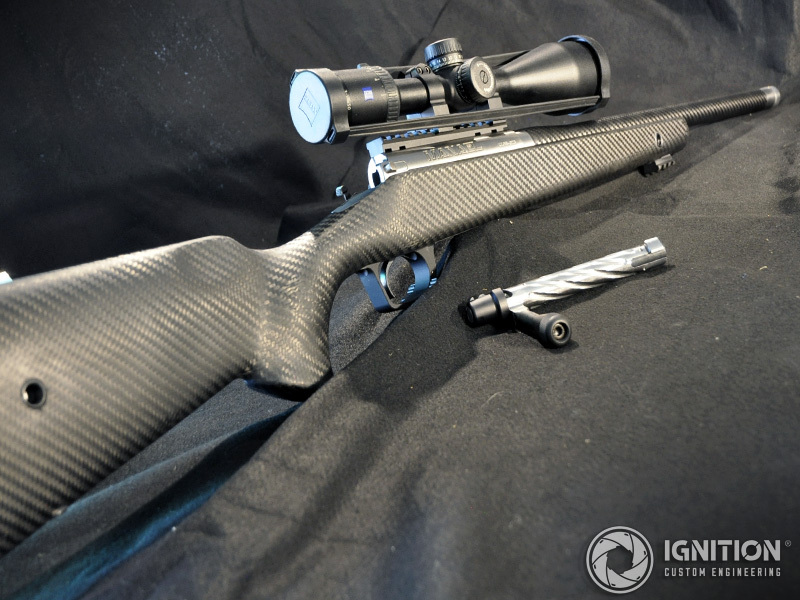 So, it was bedded into a Southfort Labs carbon fibre stock carbon fibre stock with minor inletting and paired up with Southfort Labs carbon fibre barrel. 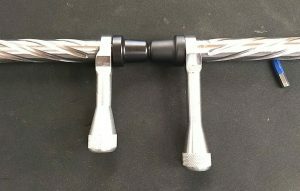 To aid with usability in the field, we installed flush cups to the stock and custom fabricated picatinny rails to increase mount options. 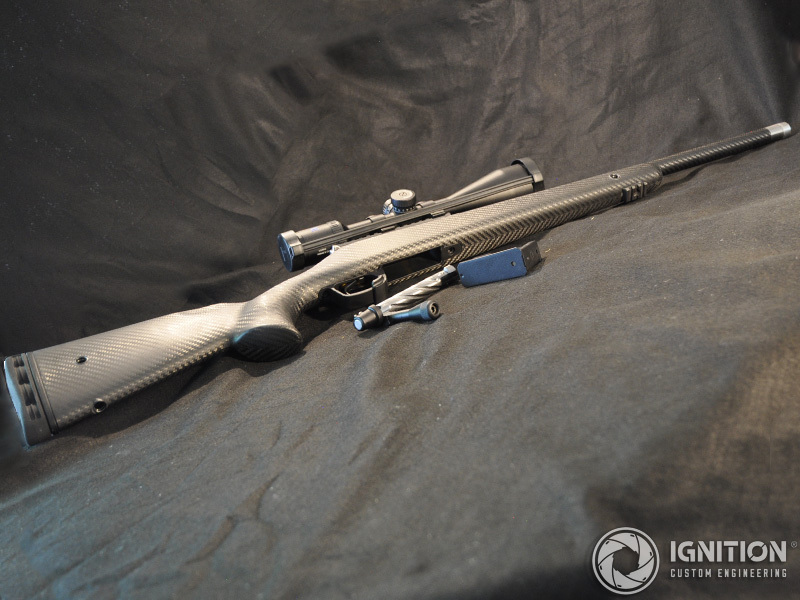 Other components included a Calvin Elite left hand trigger from Timney Triggers and Atlasworx detachable box mag style bottom metal and Accurate Mag brand magazines. 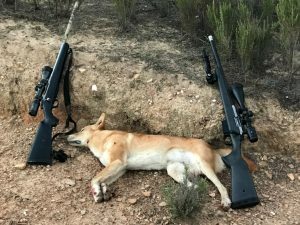 The final weigh in was 2740 grams without bipod and scope (a heavy bipod and scope brought the weight to 4100 grams). 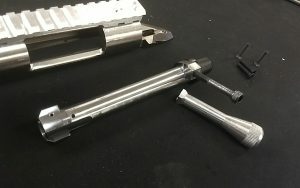 Straight off the workbench after assembly, our head gunsmith and the client took the rifle into the field for testing. The Manael action shot under 1/2″ groups with factory ammo on the first run.